When your application is developed and ready for publication, it must go through the certification process before it is eligible for listing in the Windows Phone Marketplace. The certification process involves static validation and automated testing of the application to verify that it meets all the policies and requirements. 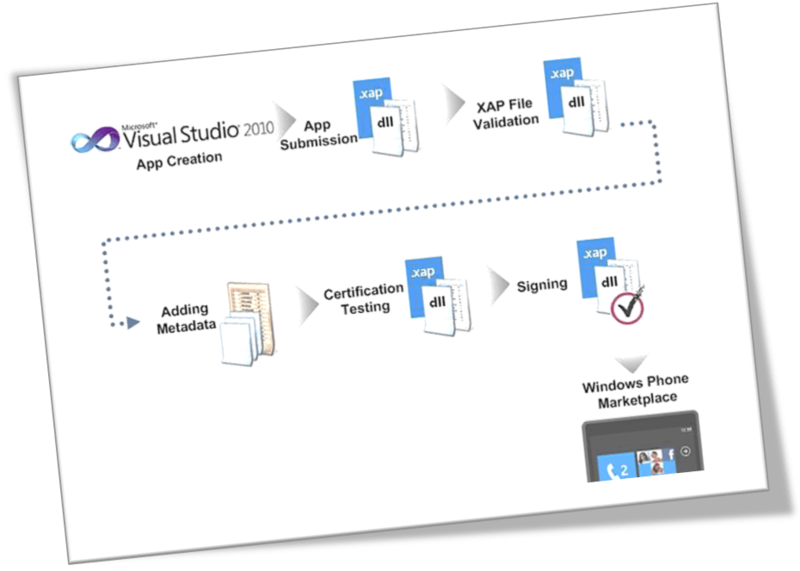 A Simplified Illustration of the Windows Phone 7 Application Submission and Certification Process is shown below. This Document provides the policies and technical requirements that a Windows Phone 7 Application or Game must meet to pass certification and to be eligible for listing in Windows Phone Marketplace. Posted in How-to, Microsoft and tagged developer, guides, howto, Windows Phone. Bookmark the permalink. Windows 8 – What features would you suggest?